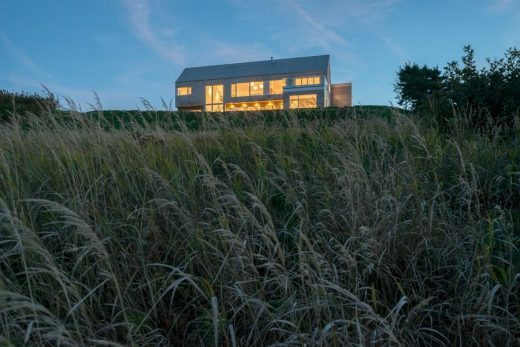 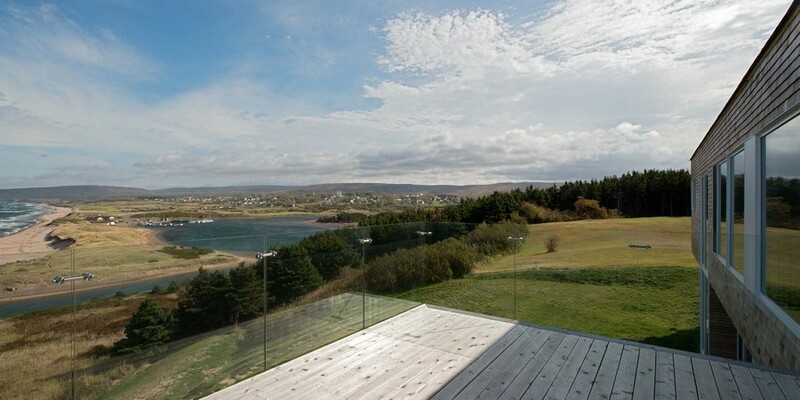 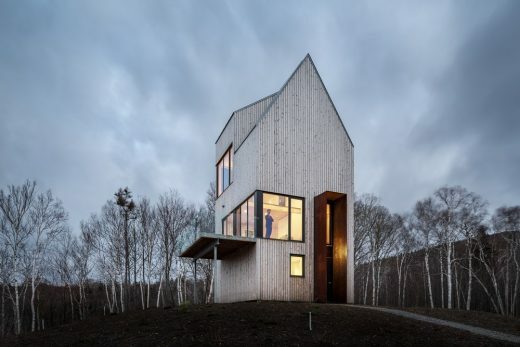 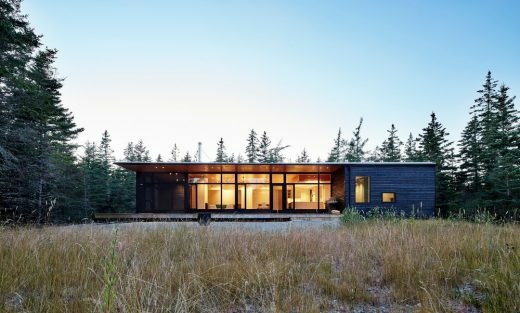 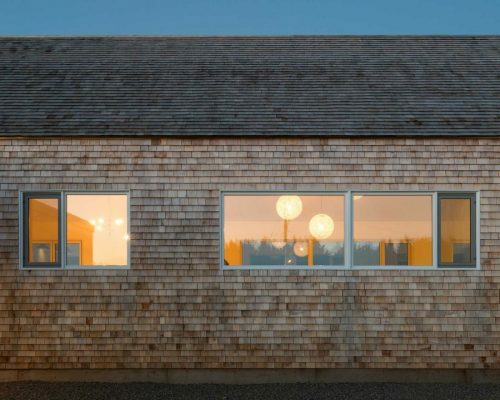 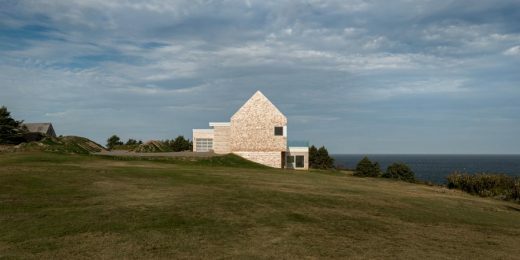 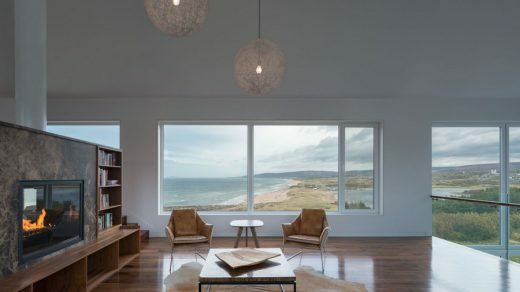 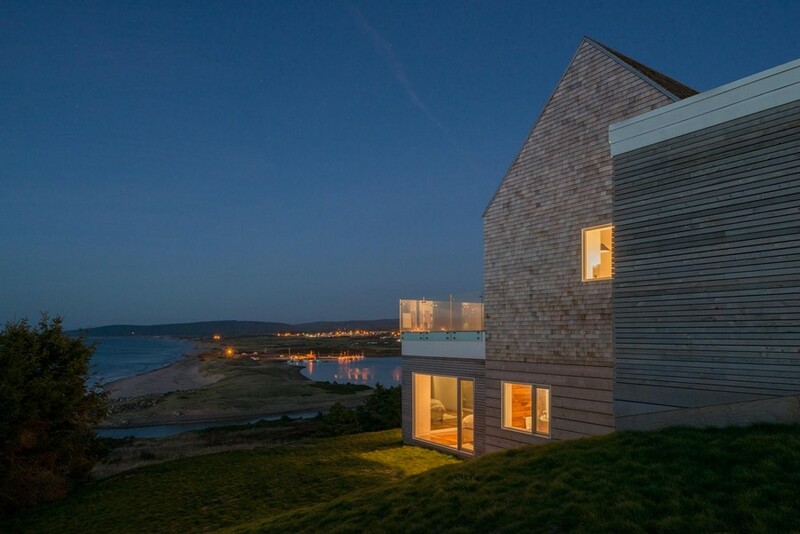 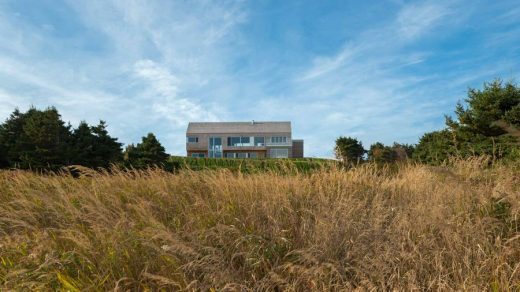 Sitting atop a hillside adjacent to the Inverness Harbour and MacIsaac’s Pond, the cedar clad minimalist gable of Harbour Heights Residence overlooks the town of Inverness and the critically acclaimed Cabot Links golf course. 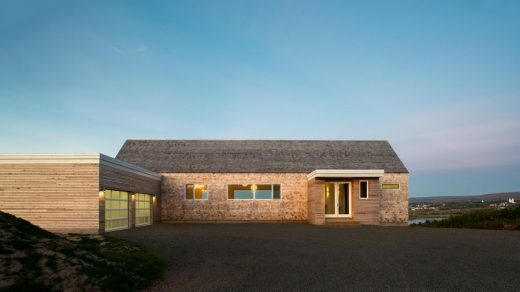 From the main road the home is presented as a single storey with a perpendicular garage. 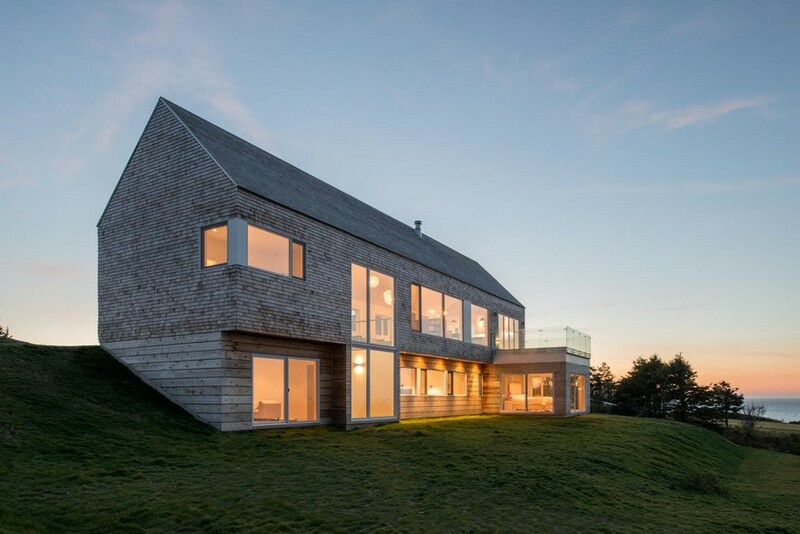 From the opposite side, falling down the hill is second storey of modern glass and crafted cedar cladding. 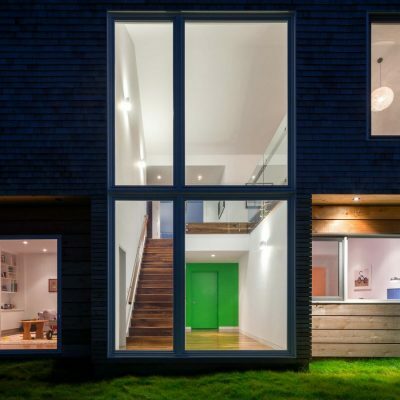 The entrance is on the second level along with the main living spaces, which include the living room, dining room and kitchen. The main stairwell is flanked by two storeys of glass. 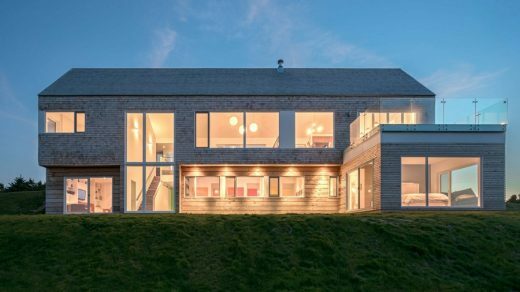 The lower level includes the bedrooms and family room. 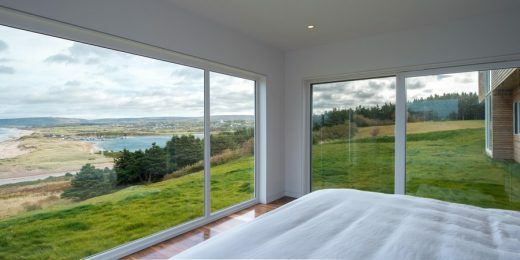 The master bedroom is bumped out from the primary linear gable massing and is clad on three sides with glass, giving it the ultimate view. The children’s rooms are finished with bright playful colours which radiate from the mature modern cedar form of the house. The living and dining rooms are separated by a change in level and a central hearth. 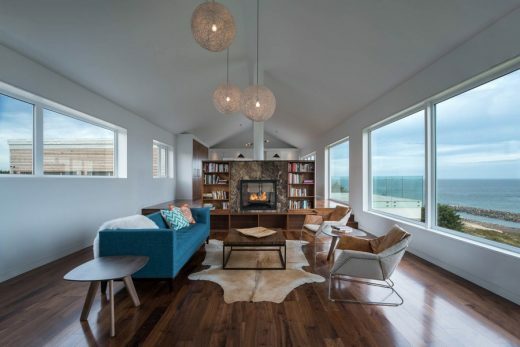 The fireplace chimney extends upwards through the grand space of the cathedral ceiling. The exterior cladding is composed of western red cedar in three forms – shingles on the roof and upper level and two widths of boards on the lower levels. 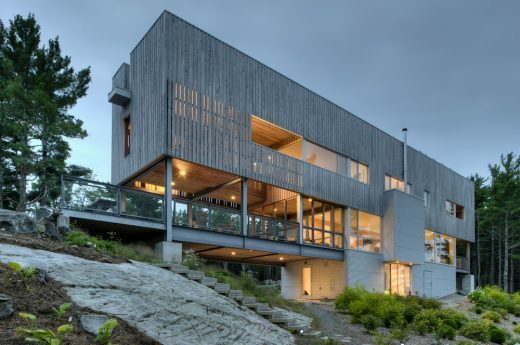 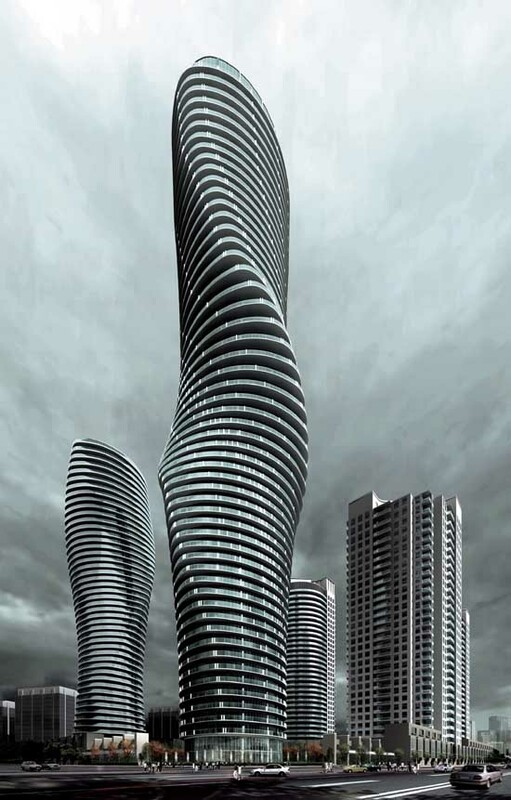 PDI – Piskwepaq Design Inc.